What should you do with your sump pump hose in the winter? Is your sump pump hose in the right place? It matters! sump pit – set into the basement floor, collects water from the weeping tiles around your basement. sump pump – pushes the water outside your house through the hose. 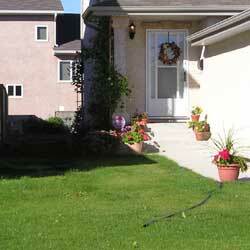 discharge hose – drains the water out onto your property. Since 1990, by-laws require that all weeping tiles in new homes be connected directly to a sump pit with no connection between the sump pit and the house sewer. Put your sump pump hose in the right place! is absorbed on your property. Move the hose often so that you don't overwater any one area. 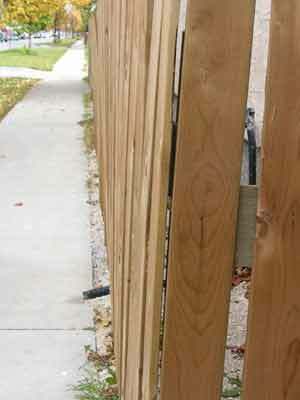 If you do this, you are violating City of Winnipeg by-laws. Why can't I drain water from my sump pump into my floor drain? 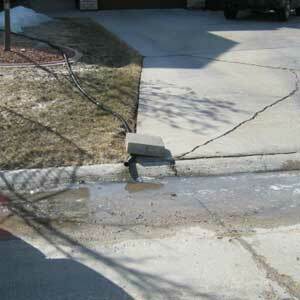 Why can't I drain water from my sump pump onto the street, lane or sidewalk? It causes hazardous conditions for pedestrians, cyclists and motorists. 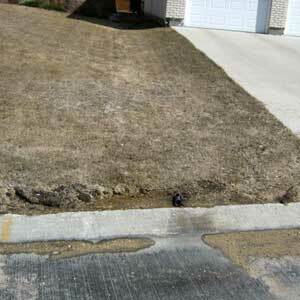 In summer, algae or mould can grow on sidewalks and the street, creating slippery conditions. 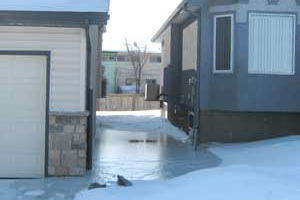 In winter, ice build-up causes slippery conditions. Can I use the water from the sump pump to water trees on City property? No, because there is a risk of overwatering. Young, newly transplanted trees are particularly sensitive. Should I unplug my sump pump in the winter? Never unplug your sump pump. What should I do with my sump pump hose in the winter? If water in the sump pump hose freezes, your sump pump can overheat and burn out. There are two ways of preventing this. Try them out to see which works for your property. 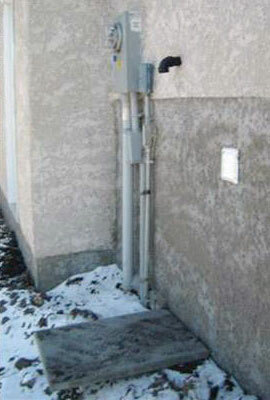 In the fall, once the weather drops below freezing, disconnect the flexible sump pump hose outside. Remember! In spring, reattach the hose you normally use or leave the winter one in place if it drains the water properly in spring and summer. What can I do if I have tried these suggestions for dealing with sump pump water in the winter, and I still have a problem? Contact 311. We will then contact you to arrange a time to meet with you at home to review your situation. 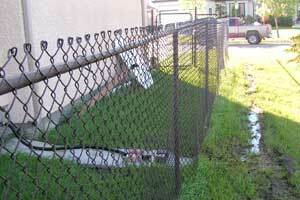 What should I do if my neighbour is draining his or her sump pump water onto my property? Check your own lot grading to ensure that your property is sloped to the property line and not draining back towards your house. Draining sump pump water to the property line, which then drains towards (but not directly onto) the street or lane, is normal. Talk to your neighbour to try and work out a solution. He or she may not realize there is a problem. What can I do if attempts to find solutions with my neighbour does not work? 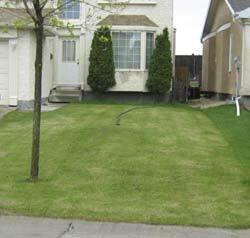 Consult with a professional (e.g., landscape contractor or landscape architect). Contact us to investigate. 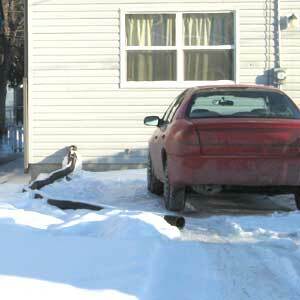 Our lot grading inspector will examine both properties and recommend improvements. Do you inspect homes to see if water from sump pump hoses is draining properly? Yes. If we find a property where the water is draining improperly, we will issue a notice of By-law violation. The owner must then correct the violation by the deadline on the notice. Contact 311 if you have questions about sump pumps and sump pump discharge.